The chest was designed by Kajsa & Nils "Nisse" Strinning and manufactured by String in the 1960s. 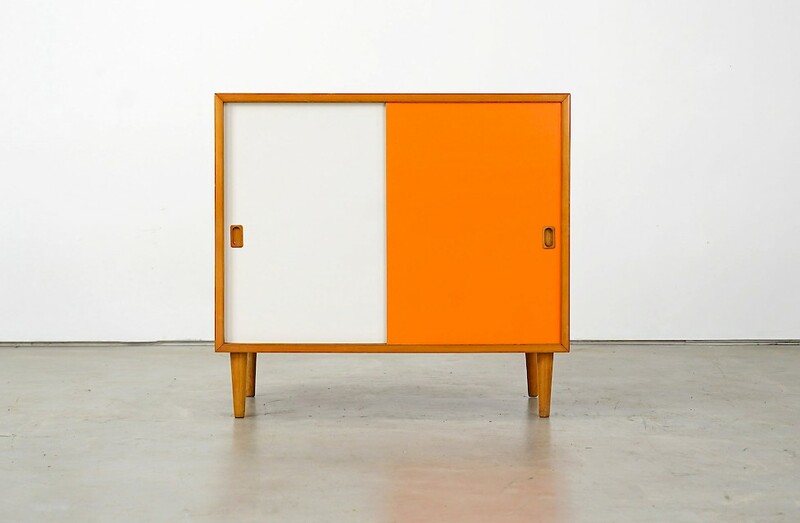 The sliding doors of the teak furniture are in rich white and orange. The dresser is in very good condition with age-appropriate signs of use.